In Hawaiian, this place is known as Pu’u Kaka’a which at one point in ancient times housed a heiau (temple) and is a sacred spot known as “ka leina a ka ‘uhane,” a place were a soul leaps into eternity. 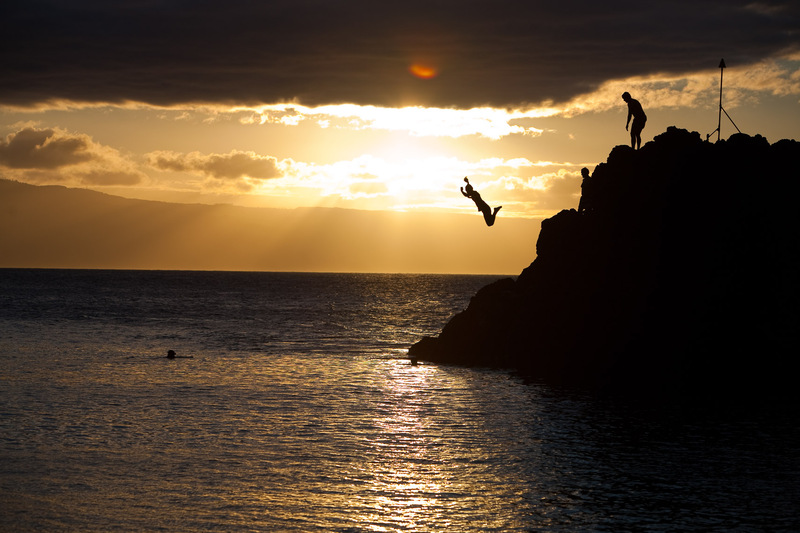 Most evenings a diver from the Sheraton Maui resort dives into the ocean from the rocks after lighting torches to honor the souls of the departed. This evening, in addition to the torch lighter, a group of locals enjoyed diving off the rocks into the beautiful evening sea.